Help Wanted: Last Pediatrician On Mendocino Coast Retires : Shots - Health News For 35 years, Dr. Bill Mahon has tended newborns and broken bones, given kids checkups and spinal taps. But luring new doctors with big debt and urban dreams to the redwoods is harder than it sounds. Dr. Bill Mahon says a gorgeous coast and the chance to practice a more personal style of community medicine lured him to remote Fort Bragg, Calif., 35 years ago. Dr. Bill Mahon was a young pediatrician in the early 1970s when he fell in love with the rugged coast and majestic redwoods of Mendocino County, Calif. Like other people who have moved to Mendocino from around the country, settling here for him was a personal choice that prioritized lifestyle over money. The prospect of practicing medicine in a small community also called to him. In 1977 he left his well-paying job at Kaiser Sacramento to join a practice with two other pediatricians in Fort Bragg. Still, the move was a risk. "There were no guarantees coming to the coast. This was a practice that started from scratch, and I just trusted the fact that it would increase and everything would be fine," Mahon, now 68, says. "My first month of work here I made $200. That was it." Over time, the private practice grew to include any patient regardless of ability to pay, says Mahon. Some patients were not insured. Many had Medi-Cal, the state's health insurance program for lower-income residents, which — until Mahon's office gained rural health clinic status in the 1990s — provided reimbursements that were "pretty meager." "Early on we actually did trades at the practice," says Mahon, with a chuckle. "We would trade a visit for a salmon or pottery or some other commodity, which, in the end, felt good from both sides." The Mendocino Coast District Hospital in Fort Bragg, Calif., now has pediatricians on call for emergencies only. 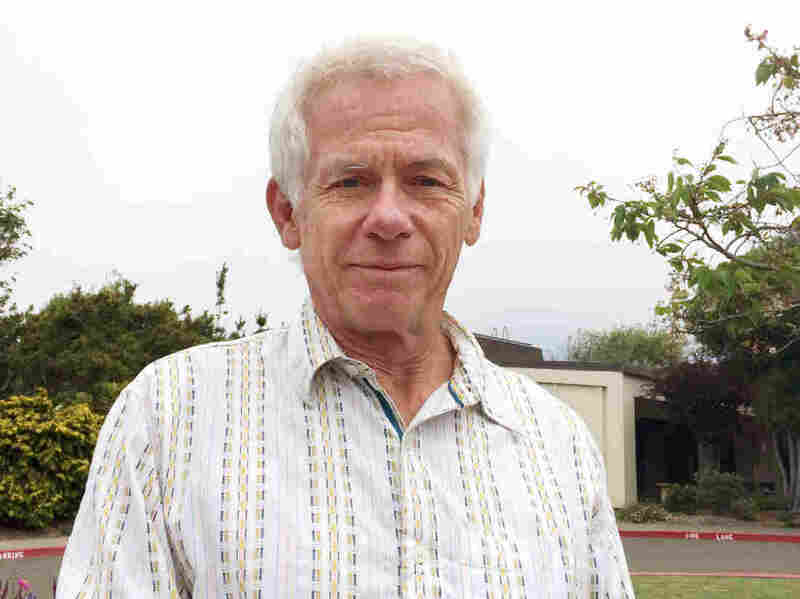 For more than 35 years, Mahon examined patients day in and day out at his small clinic, next to Mendocino Coast District Hospital, the only hospital for miles. He handled everything from regular checkups to broken bones to very sick kids who might need a spinal taps or IV treatment. He got to know families closely. Going anywhere in town almost certainly involved bumping into a former patient. "It really is the personal aspects of practice here," says Mahon. "The connection with the parents, the connection with the kids and then how that connection spilled over into the larger community." Sometimes, he was roused out of bed in the middle of the night to attend to a newborn after a complicated delivery or speak with a distressed parent with an urgent question. Then those kids grew up — and many had kids of their own and brought them to see Mahon. "I frequently tell people that I had a dream practice," he says. "I took care of at least two generations of children. I wouldn't trade a minute of it." Now Mahon is mostly retired. He only works at the hospital on call a few days a month. Families in most of the Mendocino Coast region no longer have access to a pediatrician who lives there permanently. The doctors that Mahon joined in the '70s have long since retired, and other pediatricians have come and gone. Until recently, a nurse practitioner and physician's assistant at the clinic handled most cases. But with no pediatrician in the office, if a patient showed up very sick or with a complicated case, the clinic's staff sent him to the hospital's emergency department, which has on-call access to a pediatrician. "This community deserves better," says Mahon. "For me it's rather sad. For all these years there have been resident pediatricians and now for the first time in 40 years, there is none." Mendocino Coast Clinics, which absorbed Mahon's practice a few years ago, contracted an outside agency to bring in a temporary pediatrician for three months. He started last week. "This is a stopgap measure," says Paula Cohen, executive director at Mendocino Coast Clinics. "We would love to find someone who wants to move to this community and make it their home." Their search to find someone permanent has a few leads. Cohen says she interviewed an out-of-state doctor last weekend, and her staff is reviewing resumes. However, it's hard for tiny Fort Bragg — population 7,300 — to compete with metropolitan areas when recruiting physicians. Cohen says many physicians prefer the amenities — cultural activities, department stores, even supermarkets — of bigger cities. A physician who is married might need to look in areas that offer career opportunities for a spouse — who, if he or she works in financial services or tech, say, might not want to move to Fort Bragg. The practice of medicine has also changed since Mahon came to the coast. Today, many young doctors don't want to practice by themselves and independently treat the wide range of diseases and behavioral disorders in babies and children that Mahon did. Most new physicians are educated in metropolitan areas, with a large suite of specialists available, says Janet Coffman, associate professor at the Institute for Health Policy Studies at the University of California, San Francisco. "If you are in a rural area and the only pediatrician," says Coffman, "people are expecting you to do a wider scope of practice. New physicians might not be prepared for that kind of medicine." Another big challenge is that most new doctors are looking for higher salaries to help them repay their debt from medical school. Graduates of public medical schools owed a median debt of $170,000, while private medical school graduates owed a median debt of $200,000, according to 2014 figures from the Association of American Medical Colleges. Poorer, rural areas, where many patients are on Medicaid, might not offer competitive salaries. California could help rural communities recruit new physicians, Coffman says, by expanding programs that help doctors repay their debt if they practice in a medically underserved area. One such program in the state, the Steven M. Thompson Physician Corps Loan Repayment, offers up to $105,000 in financial assistance. Medical schools could also expand programs that train physicians for the daily challenges of practicing in a rural setting. 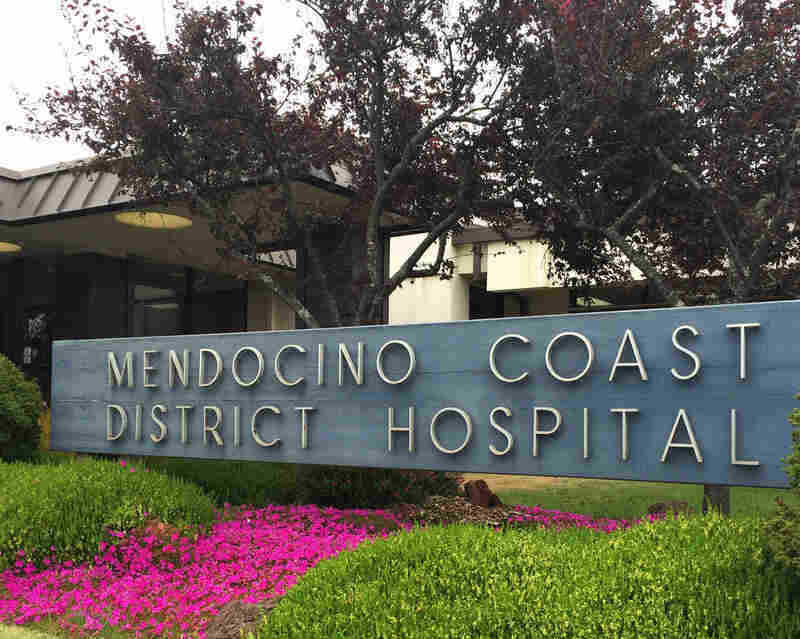 The issue is pressing in Mendocino County and other nearby Northern California counties, where more than half of all doctors practicing are 56 or older and nearing retirement age, according to a 2009 report by the California HealthCare Foundation. Statewide, the physician workforce is one of the oldest in the nation, with only New Mexico having a greater proportion of active physicians over 60. Meanwhile, families in Fort Bragg say they greatly miss having a regular pediatrician they trust nearby. Cassandra and Milo Young now drive their three children 60 winding miles inland to a pediatric practice in Ukiah. The trips usually take an entire day and represent additional costs in gas and time off work. "It's definitely a downfall to the area," says Cassandra Young. She moved to the coast after working as a creative director at a large advertising firm in New York City. "We made certain concessions to give this lifestyle to our children. We gave up the big career and department stores," Young says. "But giving up good quality pediatric care doesn't feel like something we should have to give up." She likes the pediatric practice in Ukiah well enough, she says, but misses Mahon. "He's just wonderful, the kind of doctor we all wish our kids could have," Young says. "It would be amazing to get another Dr. Mahon to move out here and be our country doctor."